The Burley Solstice, available exclusively at REI (affiliate link – thanks for clicking through! ), is new this spring and is turning heads. 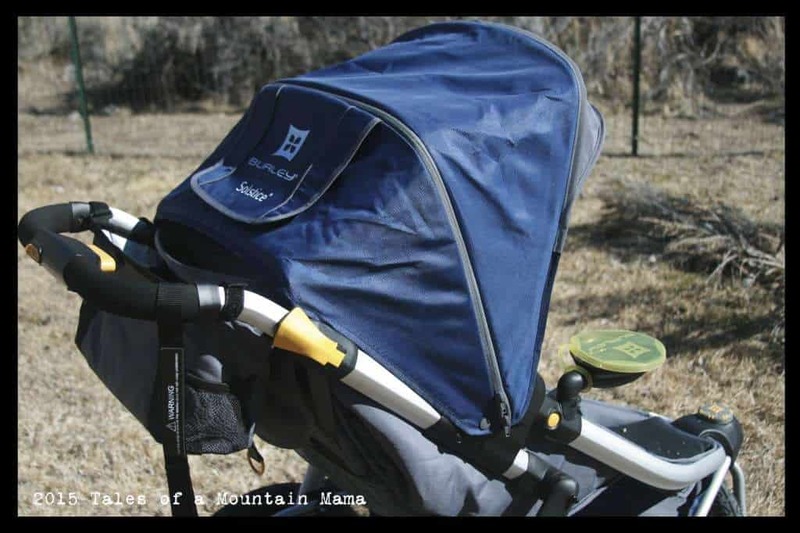 An innovative new stroller, the Solstice is all of my favorite jogging strollers rolled into one. 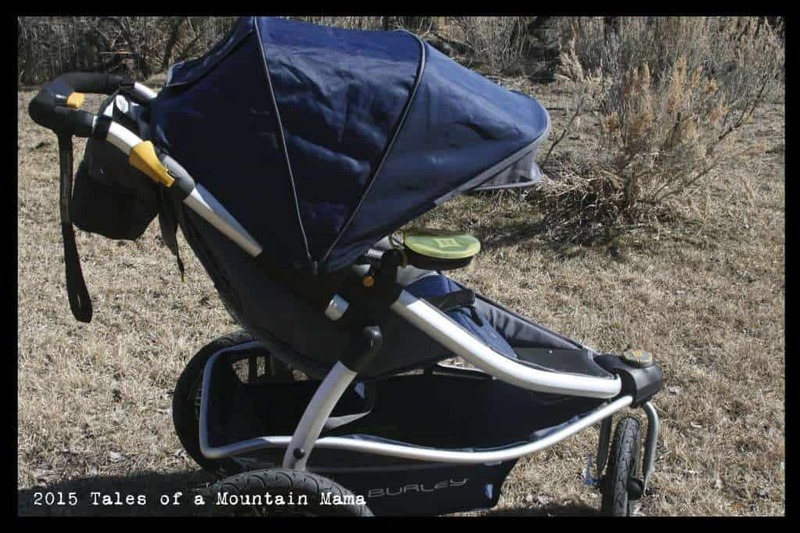 In fact, there are just a couple things I would change on it at all, but so SO much that make it one of my favorite rugged all-around strollers. While I wouldn’t recommend the Solstice for serious long-distance runners (mostly due to the 29 lb. weight), it fits the rest of us looking to get out and STAY out perfectly well. It has great suspension, a generous canopy, massive cargo space and adjusts super easily, all things I consider key for no-stress strolling. – Canopy: Not having a good canopy to protect children (of all sizes) from the sun is a huge pet peeve of mine. The un-expanded Solstice canopy is plenty for most situations. Unzip it to allow even more coverage and it’s my favorite, hands-down. There is virtually any coverage I need. 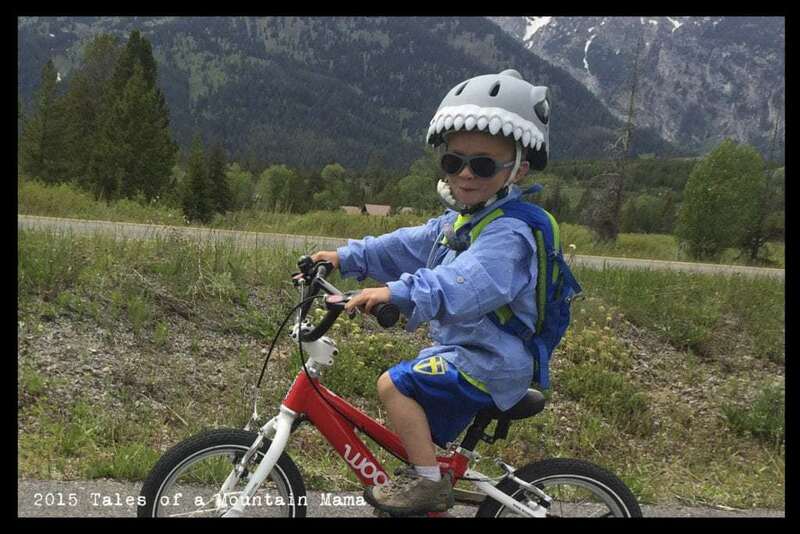 – Smooth Ride: Enough suspension to allow even a 6 year old to be comfortable, and easily moves over very rough trails and steep hills. 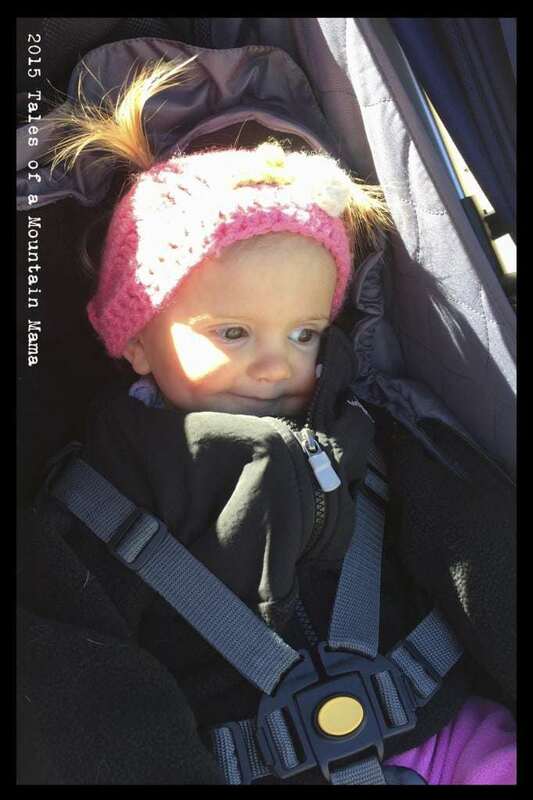 – Cargo Space: I have NEVER seen this much room in a stroller, ever. It’s like the Mary Poppins basket – more fits in it than I think it will every time. And the back opening of it dips slightly to allow for fitting in some pretty substantial size boxes. As a “post-office-walker”, I appreciate this immensely. It’s also super handy when you need to throw in a balance bike and a tired rider. – Adjustments: Easy to lower AND raise the child’s seat one-handed. It also folds up one-handed and locks into place on its own. As a mom that usually has one hand occupied, this is, again, huge. The Solstice also has a max capacity of 75 pounds which means that a 6 year old + gear is very doable. Even with that extra weight the stroller handles very well. 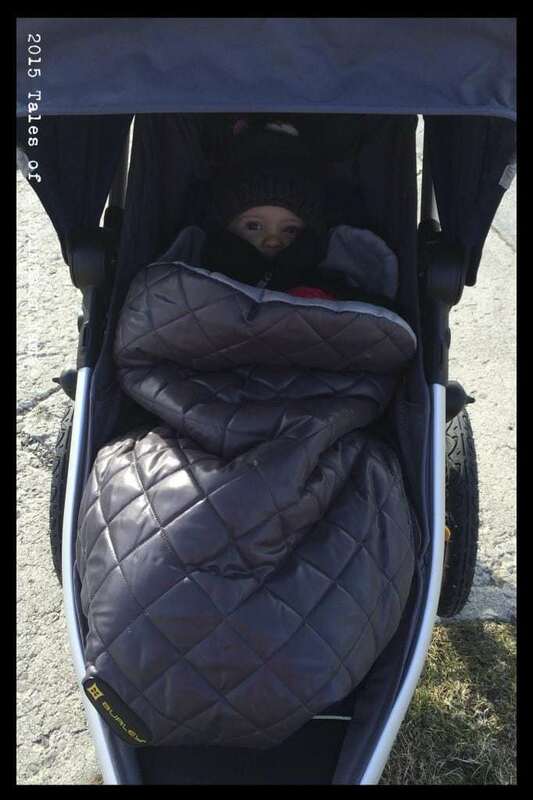 In the photo below my oldest son is just taking a break from a hike, but he can be strapped in too (and is if we are strolling). The other big “Stand Out” feature of the Solstice is Burley’s new S.I.T. seat. The spring-loaded straps stay where they should, eliminating tangled straps and making it SO much easier to get kids in without extra hassle. AND it can be easily removed for machine-washing. 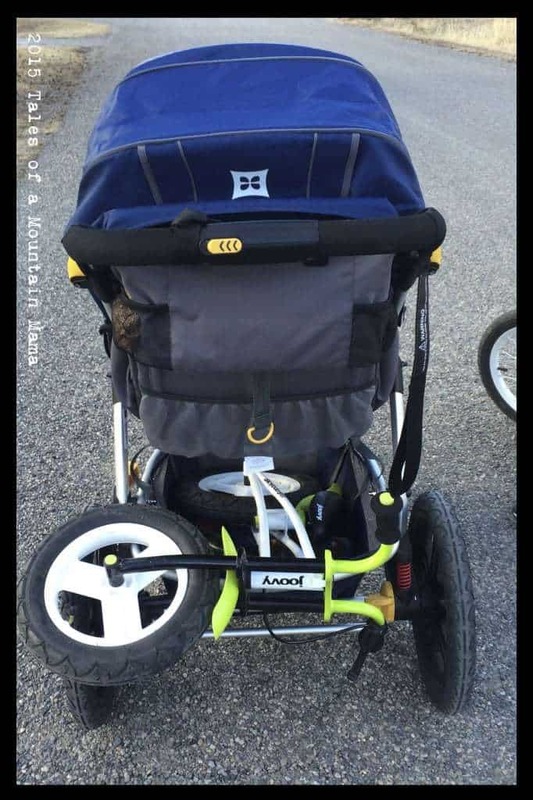 Not that strollers ever get nasty…..
– The front wheel is easily switched between a swivel and locked position with the simple turn of a dial. The tracking is also quick to change with the simple turn of the dial. – At 29 pounds, it’s not the lightest stroller out there, nor is it the most streamlined. 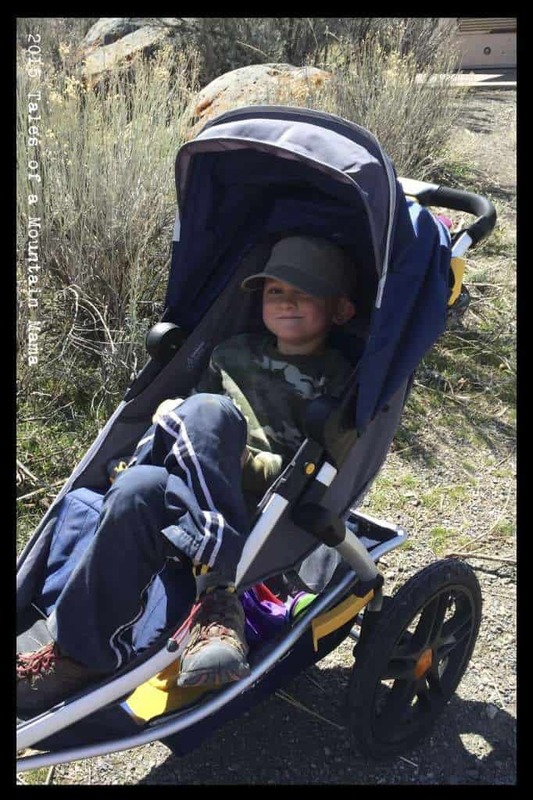 This is not the stroller you are going to take and run 5 miles with every day. The extra weight would just be cumbersome. However, if you are just running a couple miles a day or “jogging” at best, it’s great. How does it compare to the BOB? – The S.I.T. Seat really does make in and out so much easier. Plus it’s washable AND more comfortable for the child. 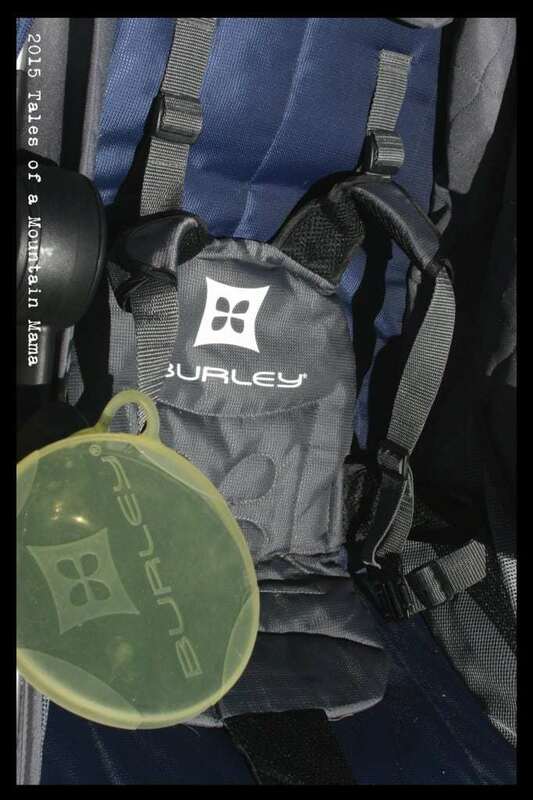 The Burley Solstice is an excellent all-around stroller and a top recommendation from us. 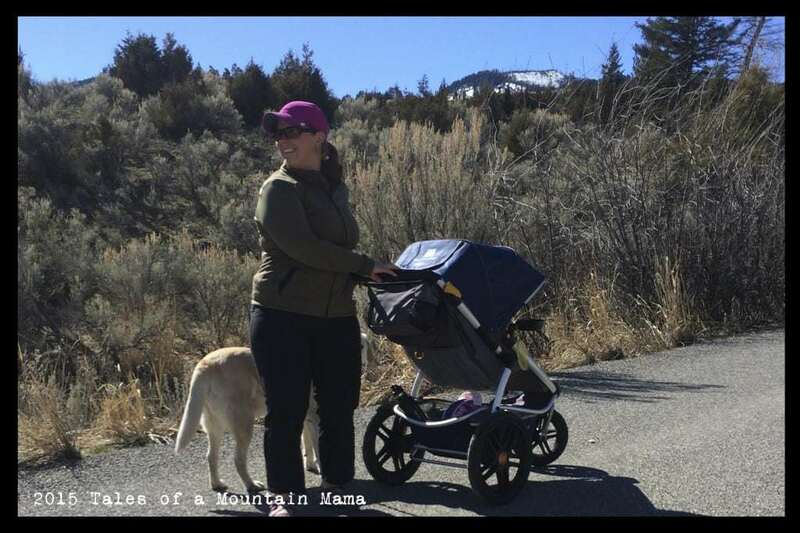 It’s great for someone looking for an all-terrain stroller that you can jog, stroll, and haul a lot of gear with. It’s a little on the heavier side, but the pluses are worth it UNLESS you plan to run serious miles! Q- How would you compare the suspension on the Burley Solstice to the BOB Revolution? Although most of our walks will be on pavement and maintained trails, looking for something that will handle comfortably more rugged terrain. Would you say both are sturdy and will withstand years of use well? The Thule Urban Glide I decided has too narrow of a seat for what we want so trying to decide between the Burley and Bob at this point and time. Since weight of the two are similar and both seem to have roomy seats really looking for which is constructed with the best materials and will last us the longest. A- Personally I prefer the Burley. Construction on both is similar….but Burley has a better storage space and better sun cover. And I always feel like it’s a bit more sturdy. 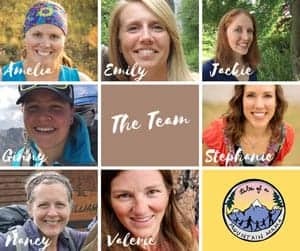 Q- I have a 3 month old and I am just getting into running. At what age do you think he can sit in this without the car seat adapter? A- They usually say when they can sit up unassisted for running…..much earlier when just walking. 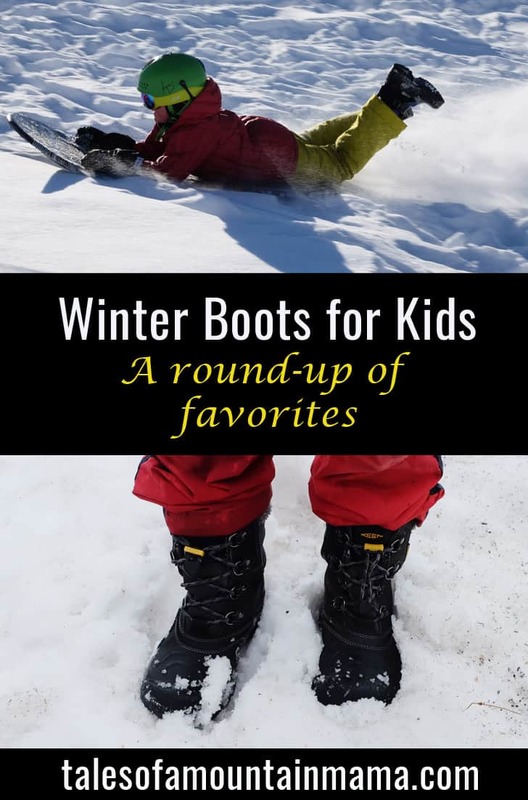 My kids were about 5 months, but really depends on the kiddo! And paved trails are always better in the beginning…. Q- How does the Solstice compare to the Thule Urban Glide? I have used the Glide before but I really like the large storage bin in the Solstice. A- Depends what you want to do!! The Solstice is more like a BOB I would say….but if you’re running a lot, the Glide is far better of a runner. I DO love the storage and beefier sun shade on the Solstice. Q- How would you compare the Thule Chariot Chinook to the Burley Solstice if you were using for hiking/walking approximately 10 miles a day? 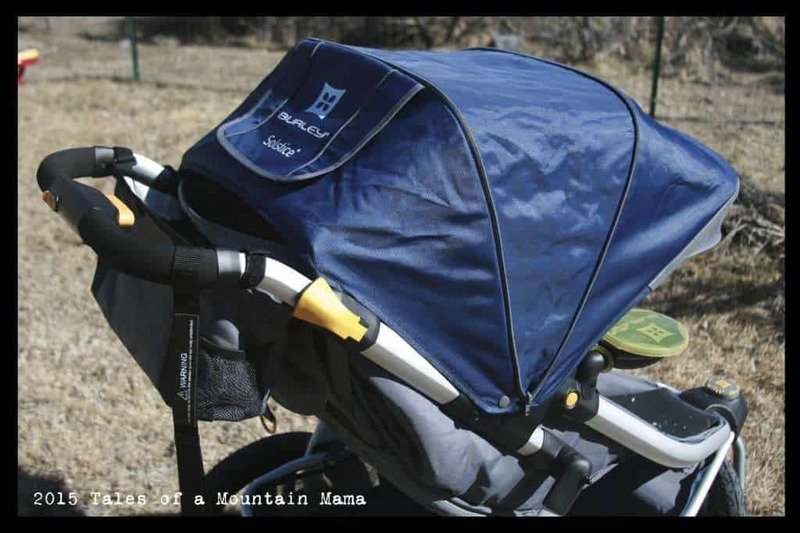 I like the Thules (both the Cougar and the Chinook) because of the role cage protection, but honestly we would use them as a stroller or jogger, not for biking. A- that’s some serious walking! I think I would choose the Solstice for comfort of pushing….but if you’re out for that long, the weather protection in the Thules really is valuable. The Chinook would be much more comfortable to push longer distances than the Cougar just because of the adjustable handlebar and swivel larger front wheel. 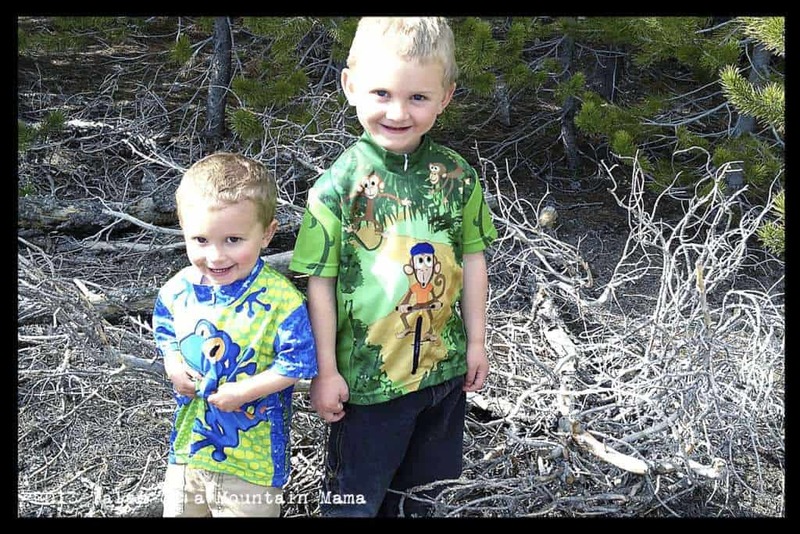 Q- Can you tell me how tell your oldest is in this photo. I am considering this stroller for my 7 year old with special needs and I want to be sure he will have head room. A- He’s 6 (and a very average height for a 6 year old). Hope that helps?? Not sure what you want to use the stroller for, but the Joovy ZOOM 360 is another option for a taller kiddo. A few of these links are affiliates. Thank you so much for clicking through them to make your purchases – it helps offset the cost of this blog in a (VERY VERY) small way! Move Your Body + Gear Up Day 4!